My Cat is Driving Me CRAZY! Want to take it a step further? Learn how to groom your cat WITHOUT losing an arm. Teach kitty a few tricks and you'll amaze your friends when you allow your cat to perform in front of them - who knows, maybe he'll go into showbiz! How You CAN Train Your Cat! If your cat has been lord and master in your home for a long time he may not like being dethroned very much. But when he recognizes that your loving headship brings him more affection and attention he'll soon settle in quite happily! Get ready to enjoy life with your cat again or start off on the right foot with your new pet when you apply the advice provided in "How You CAN Train Your Cat". Are you ready to start training your cat? 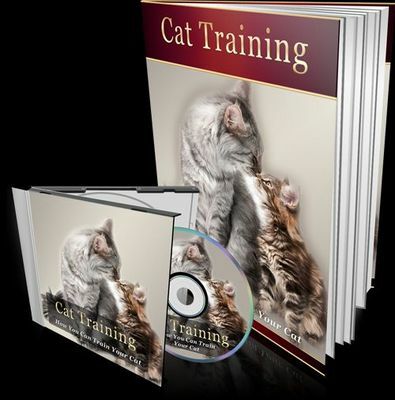 Download How You CAN Train Your Cat' right now! Download Your Personal Copy of How You CAN Train Your Cat' and Start Applying this Knowledge Today! P.S. Don't forget that another day without using the advice available in How You CAN Train Your Cat' means one more day of frustration and irritation with your pet. Make life happier and more enjoyable for both of you by getting started on the right path to a great relationship by learning how you CAN train your cat!